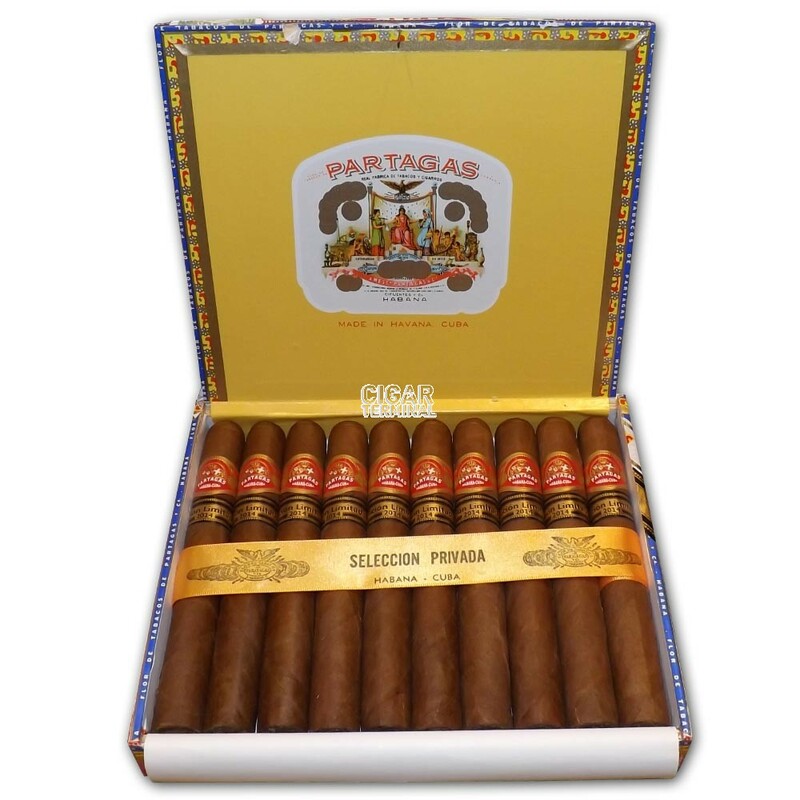 The Partagas Seleccion Privada 2014 is a rich medium-full bodied Double Robusto, 6.3” (160mm) long, of 50 ring gauge, and comes in a box of 10 cigars. This new release comes with a Seleccion Privada golden ribbon wrapped around the 10 cigars and a Limited Edition 2014 band around each cigar. 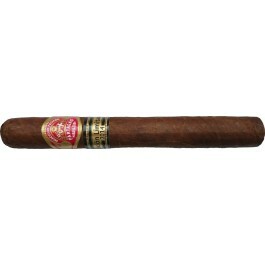 It is reminiscent of the Partagas Serie D No.4, maybe a bit stronger than it; a true full body cigar. The tobacco used is from the Vuelta Abajo and is aged at least two years. It is a beautiful cigar, with a flawless construction, perfect draw and a sharp burn line throughout the whole cigar. There is a lot of wood, rich coffee and a beautiful floral quality to it. There are also hints of pepper, leather, oak, cocoa and some nice fruity cake flavor. A truly delicious creamy smoke, which will become even better after 3 to 5 years of ageing. 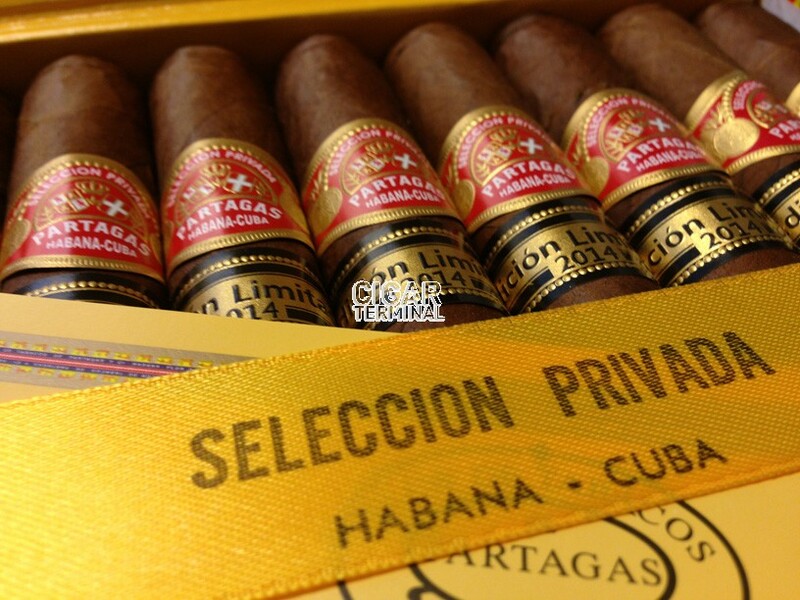 The Partagas Seleccion Privada Limited Edition 2014 is a great new addition to Partagas line-up. Similar to the Partagas D 4, it is even richer. •	Rather strong cigar, very creamy, with lots coffee, wood, cocoa and some delicious toasty tobacco flavor. •	A cigar that is made for ageing. 3 to 5 years are recommended. The cigar is looking great, with a dark brown wrapper, kind of reddish brown, slightly bumpy and with a nice oily sheen. It is firm between the fingers, with no soft spots. There are no apparent seams and only a couple of rather small veins are visible. The triple cap is beautifully applied. The wrapper smells of vigorous barnyard and coffee. The pre-light draw gives some chocolate and some earthy flavors. Once cut, the draw is a bit on the tight side, but not hindering the flavors at all. Once lit, there is a lot of earth and a bit of coffee. The first few draws start quite strong, with a lot of power and lots of white pepper. It settles down shortly after, the harshness goes away and leaves ample space to earthiness, some dried mushrooms, some hay, some wood, coffee and leather. It is a true Partagas in that regard. Medium to medium-full in terms of strength. There are also some notes of cocoa and some sweetness from corn syrup or some fruit cake. In short, it is like a Serie D No.4 on steroids. Despite being a young cigar, it is very rich, intense and delicious. To top that off, the construction is amazing, it produces plenty of creamy smoke, the burn line self-corrects after a wavy start and the ash builds up in a white, light gray color for about the first third of the cigar. In the middle third, the flavor profile is a continuation of the first third, with still lots of leather, oak and lots of earth. There are also some nutty characteristics alongside some toasted tobacco and still lots of pepper. There is also a bit of acidity due to its young age. The strength is still in the medium to full range. It is a terrific cigar, a true Partagas. In the final third, the smoke increases in strength, now definitely a full body cigar. The dominant flavors are of wood, coffee, but still very creamy. The slight bitterness from tannins persists but does not hinder the smoke. It is actually even more enjoyable now, and it is a pleasure to smoke it to the nub. In summary, it is a great smoke. Smoke 1 or 2 and keep the rest in the humidor, they will be even more delicious in 3 years.